This unique self-contained apartment, as featured in NZ House and Garden magazine, is located in the heart of Martinborough within walking distance of cafes and restaurants or cycle to Vineyards for tasting and lunch. Relax and soak up the sun on the patio or light the brazier and BBQ in the Alfresco (outdoor dining area). The cottage enjoys underfloor heating in the bathroom, double glazing and plentiful gas hot water. It is down a private driveway and was Designed specifically for guests to be self contained and still feel the charm of the property. The apartment is where it's owners lived in comfort for 13 months while their house was being built next door. Ideal for romantic weekend away or business person wanting the comforts of home away from home. Off street parking is available for one vehicle. Toast Martinborough food and wine festival, which is the 3rd Sunday in November annually, is a minimum 3 night stay. Minimum stay. Please note, From Labour day long weekend at the end of September till Easter, for weekends, it is a minimum of a two night stay due to it being so busy. Quiet, clean and beautifully appointed. We stayed two nights in this gorgeous place. The perfect escape after long days in the sunny vineyards. Will definitely be recommending to family. We had a wonderful break at the Coach House - lovely and quiet with easy access to the town center. Everything was immaculately clean and well presented. Enjoyed watching the birds in the garden especially the way the black bird was eating figs from the tree. Owners were lovely to speak with and would love to stay again. Great decor, lovely surroundings and neighbourhood. 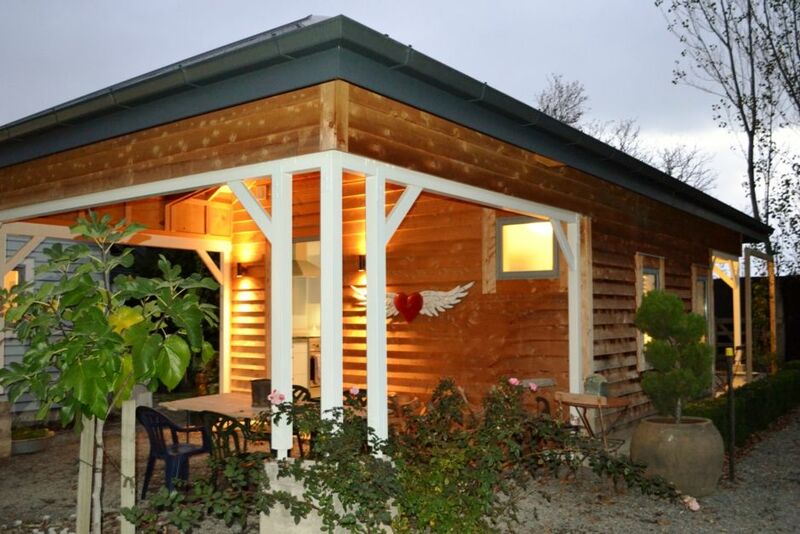 Perfect for a getaway in wine country, just a short walk into the village for fantastic food.